We offer two different variations on the Remington Pre-Fit barrels. Please note that both should be installed by a qualified individual. One variation is the standard Remington Barrel with a shoulder. This should definitely be installed and headspaced by someone qualified. The second variation is what is commonly referred to as the Remage barrel. This barrel has no shoulder and is similar in design to the Savage Pre-Fit barrel. 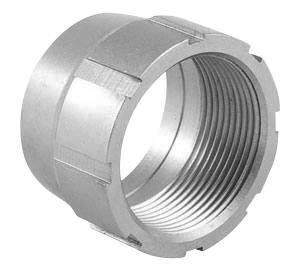 It requires a lock nut to lock the barrel down after installation on your action. It can be installed just like a Savage. Please note that a Savage Lock Nut will not work on this barrel. The Lock Nut for this type of barrel is custom made in our shop. It requires the use of a Savage wrench to install or disassemble. Our gunsmith recommends that the nut is torqued 70 to 80 ft lb of torque. We also proudly offer the Remington Smokeless Muzzle Loader barrels. These barrels are manufactured using the same high quality barrels you’ll find in our other Remington and Savage pre-fit barrels. 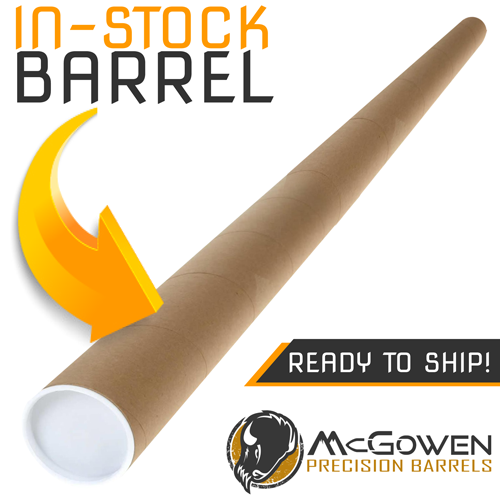 We can make them to fit your Remington breech plug or the Savage breech plug in 40 caliber (400/408), 45 caliber (450/458) and 50 caliber (500/510) in a variety of twists and any contour on our website is available for these barrels. Muzzle Loader barrels are available in either Chrome Moly or Stainless Steel for an additional $40 to the base pre-fit prices below. RifleShooter.com did a nice article on the installation of a McGowen Remage barrel and nut on a Remington 700 without the use of a lathe. It’s a nice set of instructions and a subsequent test shoot with results. If you are considering doing a Remage conversion, it is a great read and food for thought. Additional cost for barrels exceeding 26 Inches. 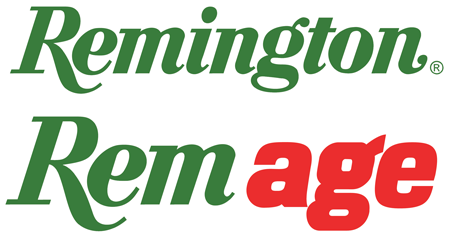 To buy a Remington Nut with the purchase of your barrel, you can call in or order online following the links below. If you find that you need a barrel nut for a recent barrel order you have placed and you end up ordering them separately, a shipping charge will be added to the nut, but the shipping costs will be credited to your custom barrel purchase and they will be shipped together. Adding your barrel’s order number in the note box would help ensure that we can provide you this accommodation. The barrels below are currently in inventory and ready for shipping. To order a Remington Pre-fit barrel you can choose one that is currently available in pre-fit inventory, create your custom barrel, or give us a call or email with what you are looking for and we’ll help you with your new, custom Remington Pre-Fit barrel.